Includes benchmark and captures performance metrics for the last 30 seconds of gameplay. Game is very demanding on the CPU and benefits from additional cores. Use level of detail decreasing settings and limiting frame rate to improve performance. The game does not support Storage Spaces drives, see Game fails to launch if installed on a Storage Spaces drive. The Deluxe Edition includes a map (physical copies only), the Deluxe Pack (exclusive mission and Desert Cobra item pack) and the soundtrack. The Gold Edition includes the Deluxe Pack and the season pass. Free. Added in February 20, 2018 patch. A standalone version is also available for purchase. Go to <path-to-game>videos\en or whichever language you use. Delete or rename Epilepsy.bk2, pc_warningSaving.bk2 and warning_disclaimer.bk2. Windowboxed in a number of cutscenes. Tied to Texture Detail setting, no individual option. TAA, and SSAA via Resolution Modifier setting. Controller takes priority, cancelling out other input devices. No options, defaults to computer's settings. The game will fail to launch if installed on a Storage Spaces drive. 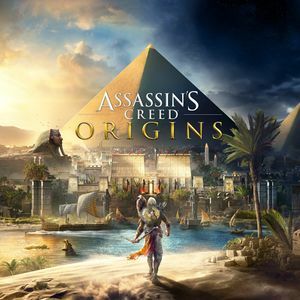 This will either cause the ACOrigins.exe process to get stuck on the splash screen or in the background. Storage Spaces is Microsoft's new software-based RAID solution for Windows 10, allowing users to create and make use of virtual disk drive(s) that spans across multiple physical drives in a desired RAID configuration. Copy the <path-to-game> folder over to a new appropriate location on a non-Storage Spaces drive. 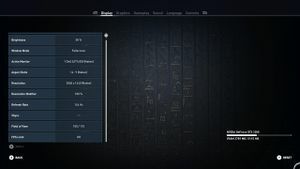 When the game folder have been copied over completely, open Uplay and select the game. Click on Properties and then on Uninstall to remove the existing game install folder. After the uninstall have been completed, click on Locate installed game below the Download button. Browse to and select the new <path-to-game> folder, then click on OK. The game will be playable again after Uplay have verified that all game files are present. 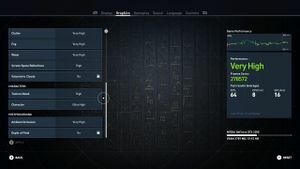 Option can be found in game settings. Sometimes also helps (when both clients are running) going into offline mode on Steam and Uplay, then launching the game. Works only for Uplay version. Incompatible with all DLC released after patch 1.03. Causes problems with invisible saves for some users. Since 1.04 patch introduces some optimizations for 4 core CPUs, it may decrease the performance on such units. Players who are using AMD FX Series processors may experience FPS drops and freezes, especially with the FX-8350 model. Please note that a good cooling solution is also recommended in order to avoid overheating issues, should you implement this workaround. 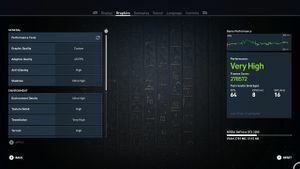 Disable SLI at the system level, even if it's disabled on the game's profile. The game tries to use it which severely hits the performance. Make sure the card for PhysX is the same card that's rendering the game (GPU #1). DO NOT dedicate the second card to PhysX. DO NOT use the second card or the CPU for PhysX. Both of these will either cause massive performance hits, FPS drops, or stuttering. If you still need a boost in performance, set process priority to High in the task manager. ↑ 1.0 1.1 File/folder structure within this directory reflects the path(s) listed for Windows and/or Steam game data (use Wine regedit to access Windows registry paths). Games with Steam Cloud support may store data in ~/.steam/steam/userdata/<user-id>/582160/ in addition to or instead of this directory. The app ID (582160) may differ in some cases. Treat backslashes as forward slashes. See the glossary page for details. 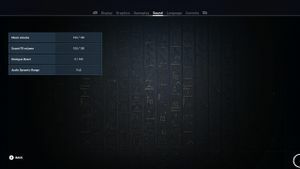 This page was last edited on 29 March 2019, at 01:51.